Captain America is not the only one who can do great things! YOU can become a great math wiz. 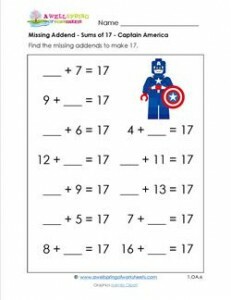 Just start small with this missing addend worksheet.